Easter holidays are upon us. It’s a time when families are preparing for the Easter bunny and other traditions which usually include lots of chocolate. Instead of a weekend spent feasting on the sweets that usually come with Easter and end up leaving the kids running around in a sugary frenzy, why not try something different this year and make the most of your family’s time off. 1. Take a weekend trip – Easter break is a great opportunity to hop on a short flight or pack up the car for a short weekend trip. You can still pack some of the best things that a city offers into a short trip. iVenture Card makes short weekend trips easy as you are provided with a guide for on the go planning! Not only do you have a great list of attractions to choose from but the family will enjoy great savings! 2. Become a tourist in your city – If you can’t get away during the Easter break, why not play tourists in your own city. iVenture Card not only offers the top attractions that a city has to offer but it also features really great lesser known attractions. Spend the break visiting the attractions and getting to know your city from a tourist’s prospective. Your family may find that they have a new appreciation for their city. 3. Try something new – iVenture Card offers plenty of attractions and things to do. You’ll also find unique experiences like paragliding, stand up paddling, surfing and hologram theatres that you may not have tried before. Why not try new experiences with your friends and family this holiday? You don’t have to spend a bundle on experiences either as iVenture Card will give you great savings. 4. 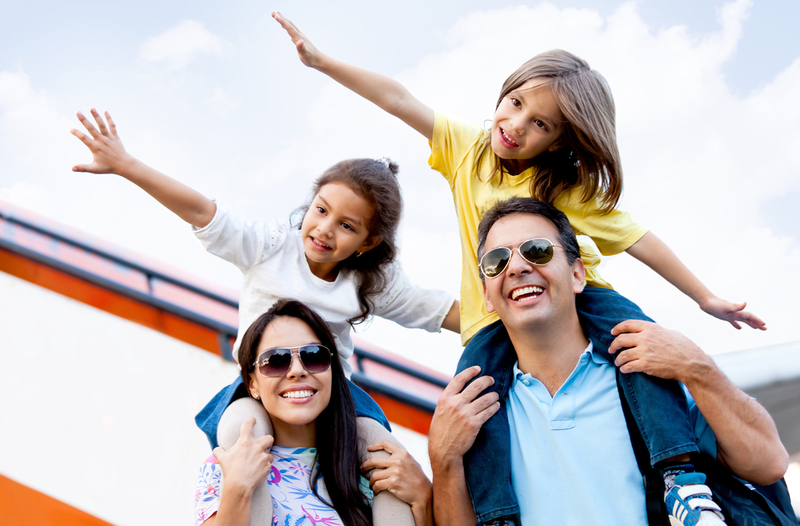 Travel overseas for a mini holiday - The kids have time off from school and the rest of the family has some time off work. Why not use this as an opportunity for a mini trip overseas. To save time on planning and for the best way to explore a new destination, purchase an iVenture Card. Enjoy great savings, experience the top attractions and lesser known attractions and explore the best that the destination has to offer in one go! It’s the easiest way to have a successful mini holiday overseas. Chocolate eggs are temporary. The memories that you will gain from experiences with your family will last forever! So this Easter, get out there and explore! Give the gift of iVenture Card!